Money management careers are spread over a wide number of industry sectors. The finance industry is one of the largest in Britain and the amount of different sectors can be bewildering. Choosing a finance sector you are interested in working in should help to narrow down your job search. The banking environment is of course one of the largest financial sectors. Money management jobs are spread out through various departments within both the investment and commercial banking sectors. The banking sector has a number of different areas including pensions, mortgages, insurance, and investments, and all applicable when it comes to money management careers. This is a very good route as a way to break into money management careers especially for qualified graduates. Private firms are home to a huge number of money management career roles such as hedge fund traders, portfolio manager and analysts. 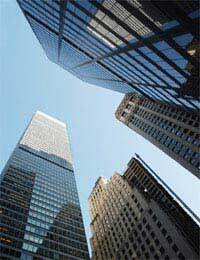 Private firms have been rising in popularity, especially in the larger cities such as London. Most of these firms are set up by money management professionals looking to run their own business and keep more of the profits for themselves. It can be hard to break into private investment firms but those with good investment and selling track records will have a chance of success. A money management career as a hedge fund trader can be seen as a risky option when it comes to salaries. However, no two hedge fund jobs are alike and there is a wide diversity depending on where the job is located. The responsibilities for a trader who works in an investment bank and those who work specifically in hedge fund firms will be different. Traders in smaller hedge fund companies are likely to have much more responsibility. Hedge fund companies advertise using a wide variety of methods, and searching recruitment consultancies, financial newspapers and employment websites should prove to be beneficial. Researching your financial sector will help to streamline your job search. Newly qualified graduates should look at graduate training programmes that will help to get a foot in the door. The money management sector is known as extremely difficult to break into and graduate training programmes offered by banks are an excellent career route. Be aware that competition for these programmes will be intense and the interviews will take place over many levels. Preparation and research will be the key to a hopefully successful interview. Researching your career options in the money management field should also include taking advice from those already in this field. Read up on articles in financial journals or on the Internet written by those who have been in money management jobs for some time. This is one of the best ways of gauging whether or not you will find this type of work and environment enjoyable. Graduate fairs and recruitment agencies are also another useful way of gaining information on money management careers. If you have the financial skills and qualifications then there should be a lot of companies interested in interviewing you. This is a competitive career path where the salaries are high and work performance is valued and rewarded. This financial career path will not be for everyone but there are excellent benefits for those who show excellent skills and results in this field.